National Memorial for Peace and Justice. Bryan Stevenson, founder of the Alabama-based Equal Justice Initiative (EJI), has long demonstrated the power of language—as a civil rights litigator and the author of the best-selling 2014 memoir Just Mercy. 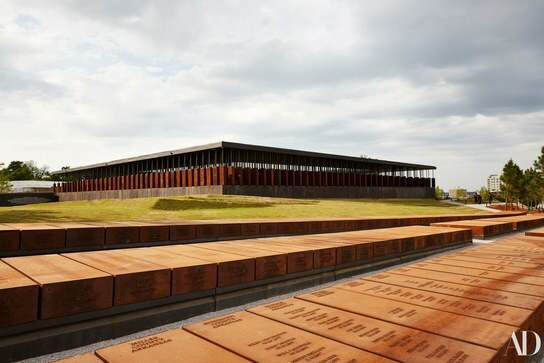 But in 2013, Stevenson says, when EJI erected physical markers to the Montgomery slave trade, he was “blown away by their impactfulness.” So after the nonprofit organization issued a report on lynchings, in 2015, Stevenson and his colleagues set out to recognize that bleakest of American tragedies in more than mere words. That year EJI acquired six acres close to downtown Montgomery on which to build a centralized memorial to the 4,400-plus victims of lynching.